Motor vehicles are manmade machines, so they are susceptible to failure. Unfortunately, this often occurs as a result of engine problems. 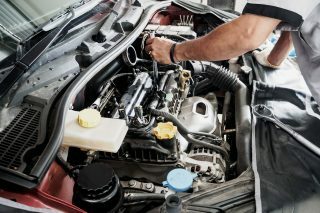 If you suspect that you need engine repair in Las Vegas, you need to come into Leavitt’s Auto Care today. Our trained technicians will be able to diagnose and repair any issue your engine may be having before it becomes a much more serious problem. 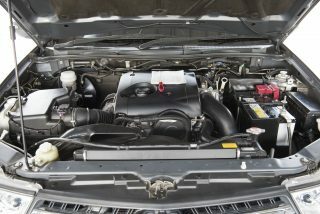 Noises, like knocking, ticking and chugging should be addressed to prevent engine replacement. There are several signs that you may need to take your vehicle into a Las Vegas auto repair shop. One of the main warning signs is if your ‘Check Engine’ light comes on. This light could be warning of something as minor as a loose gas cap, but it could also mean serious problems in your engine parts. Smoke coming from your car’s exhaust or strange smells coming from the vehicle are also telltale signs that something could be causing problems with your engine. If your vehicle is idling hard or jerking while you’re driving, it’s also very likely that something is amiss in your engine. If you experience any signs of engine problems, you can trust Leavitt’s Auto Care to provide the car repair in Las Vegas that your engine desperately needs.